“If You Have Enthusiasm, A Positive Attitude And Can Work On Your Own Initiative, We Could Have The Perfect Position For You"
First of all, thanks for taking the time to read this page. We are always looking to hire enthusiastic people who can work on their own initiative, and it’s my hope that you have precisely what I need for this position. My name is Steve McGrath and I have been running my own sports performance and personal training business for the past 6 years. I currently operate a 2,400 sq. ft facility in the Fotapoint Enterprise Park at Cobh Cross, Carrigtwohill. My training facility caters for general fitness enthusiasts as well as athletes. If you are a good fit for this position, you'll work 15-20 hours per week, and you must have flexibility to work mornings and evenings, including Saturdays. •	Responding to customer service/inquiry phone calls and emails: We get a lot few phone calls and emails every day. You will need to respond to each of these. •	Gym administrative work: Printing, contacting suppliers, booking clients into trainer schedules, sourcing products, ordering stock, etc. •	Referrals and testimonials: These are a big part of my facility’s marketing strategy. You will be responsible for updating our website, testimonial wall, testimonial binder, etc. •	Gym maintenance: Maintaining a clean, safe and welcoming environment. •	Email: I do a lot of work through email. I use a web-based program that’s easy to learn. You need to be very comfortable and proficient with email. •	Thoughtfulness, Organisation and INITIATIVE: I need you to be able to think for yourself, be organised and proactively engage in the process of making our business better. •	Write a cover letter explaining why you are the perfect person to fill this position. If we feel you’re a good candidate for the job after reviewing your CV we’ll call you to set up an interview. The sooner we get your CV the better as we want to fill this position ASAP. I look forward to reviewing it and hopefully meeting you in person soon. 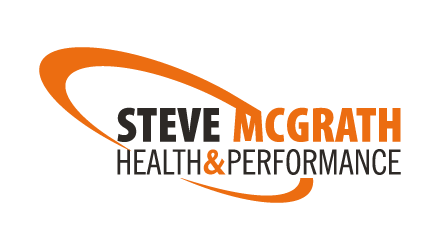 Steve McGrath Health & Performance Ltd.
P.s. As I mentioned in the headline above, enthusiasm, a positive attitude and using your initiative go a long way. We am very positive and upbeat and appreciate those qualities in others. As long as you have the basic skills mentioned, and a great attitude, you’re definitely a candidate!